This is a mod within the early development stages that is planned to completely redo ALL of the .CUB files. It will basically be a texture pack for Cube World. Hopefully there will be an easier way to install multiple .CUB files at once in the future. As for now, I will be updating every so often with at least 1 creature/item. Enjoy! 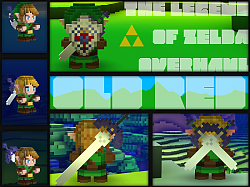 ~ Edited Hylian Shield for better colors and shape. 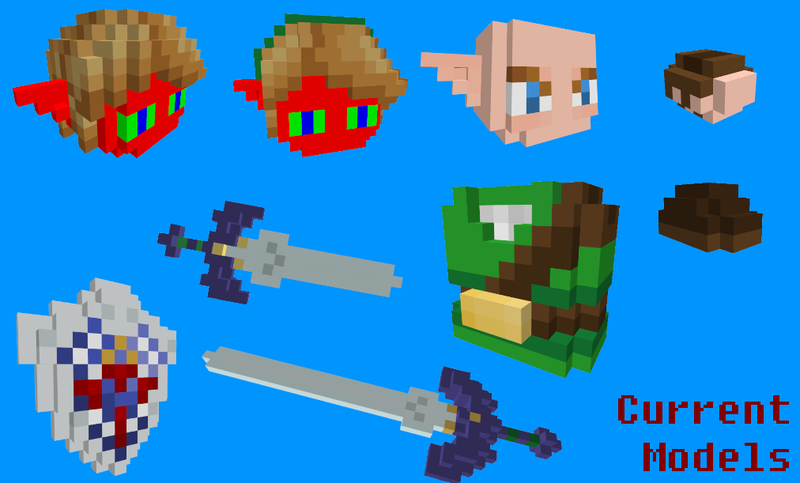 + Added two-handed Master Sword model. 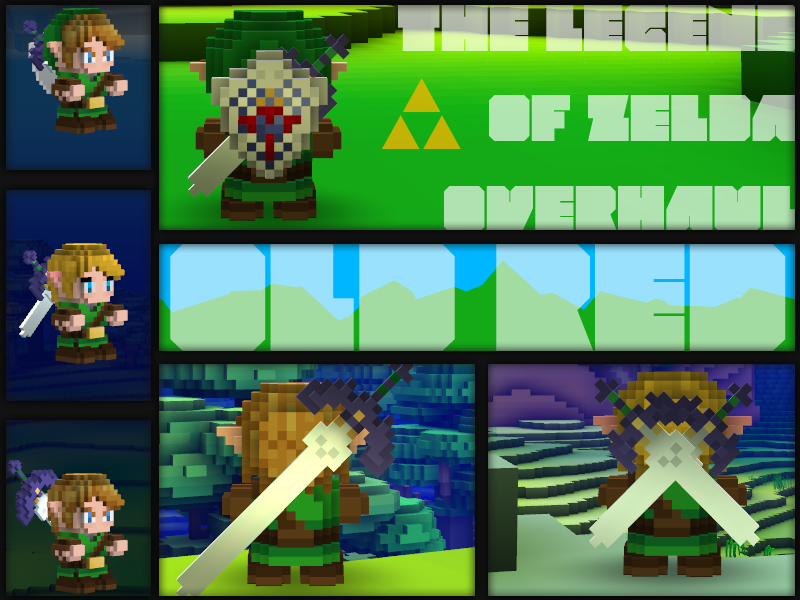 + Added Hylian Shield model. + Added one-handed Master Sword model. 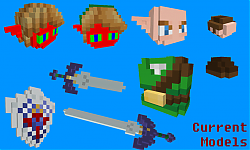 + Added color custom Link hair.